Live.Love.Laugh.Scrap. 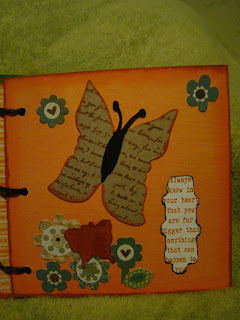 : Ezee Pzee Project Reveal and Blog Hop!!!! 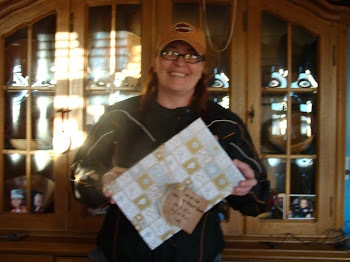 Ezee Pzee Project Reveal and Blog Hop!!!! 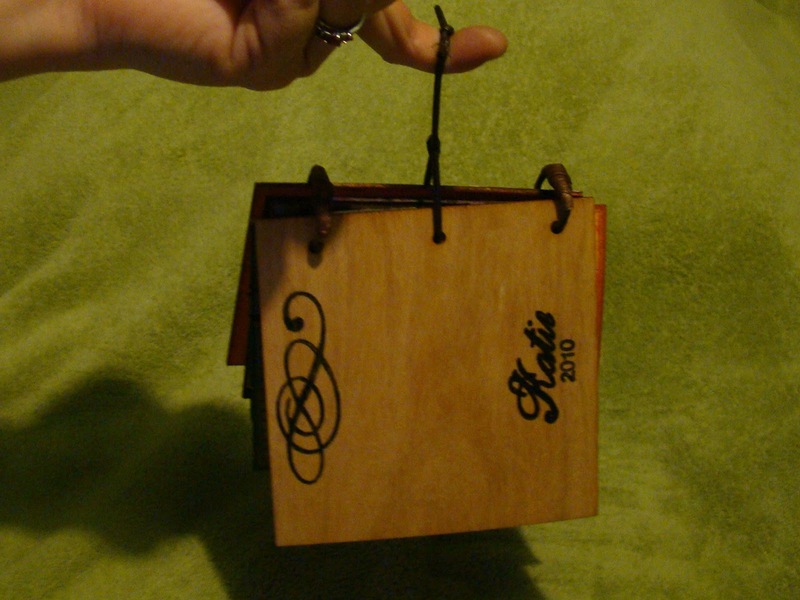 Welcome to the very first Ezee Pzee blog hop! 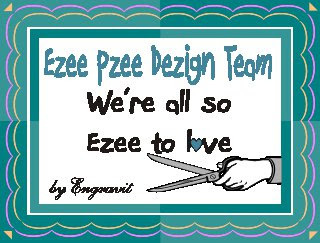 I think you're really going to enjoy seeing the new products from Ezee Pzee as well as the exciting projects that the Dezign Team has made. 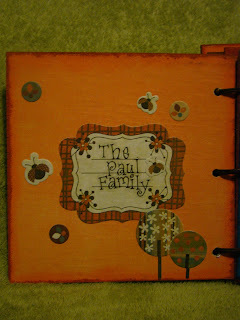 To participate in the blog hop (and maybe win some candy) is ezee! 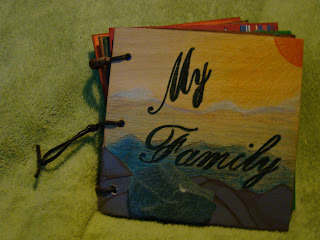 Visit each design team member's blog and leave a comment. You will get one entry into a draw for some pretty amazing blog candy just for visiting and leaving a comment at each Dezign Team Member's blog. Posting the picture of this candy on your own blog, along with a link back to Ezee Pzee will earn you another entry into the draw (just make sure to leave a comment letting us know that you added the link!). 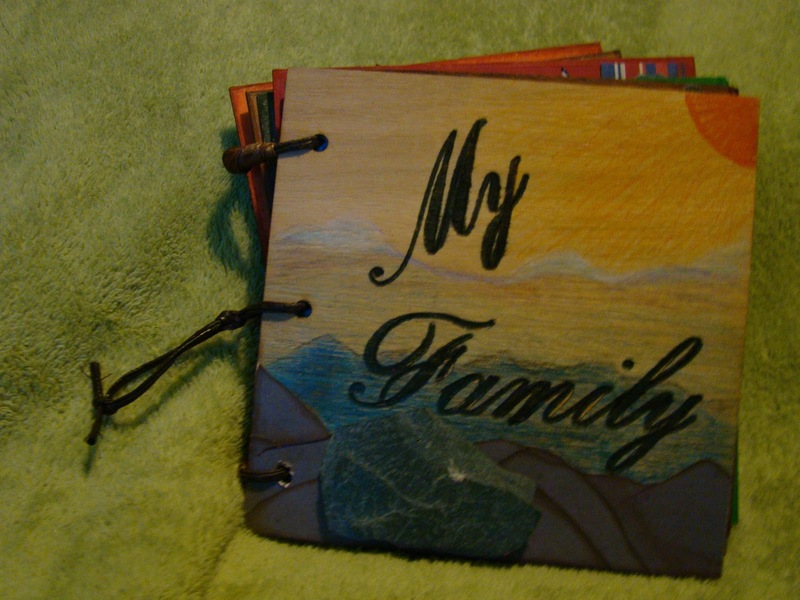 I sat and tried to think of how I could possibly use the piece of slate and it made me think of the mountains. I enjoyed some time in the mountains of Montana and Wyoming last summer. So with that in mind I made my cover. 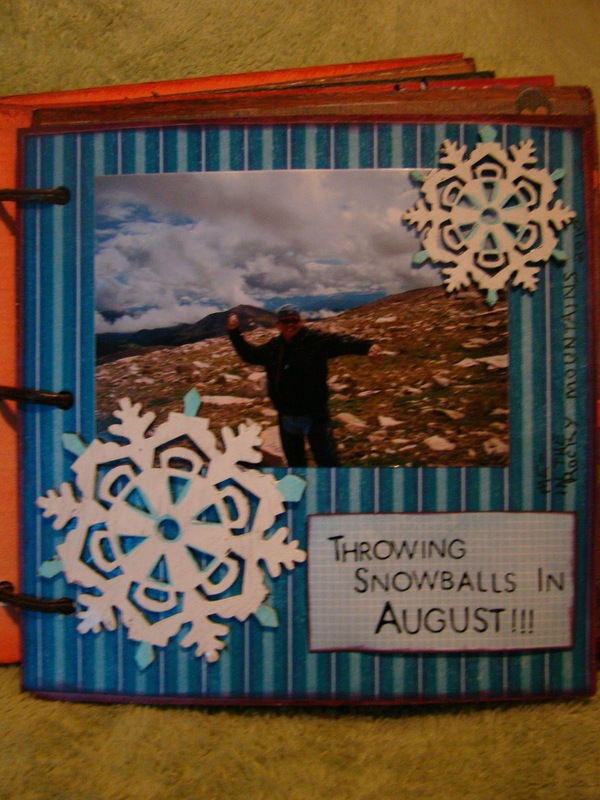 I also was having different thoughts about how to use the Itzee Ezee Pzee snowflake, so I "stayed in the mountains" for my first page. 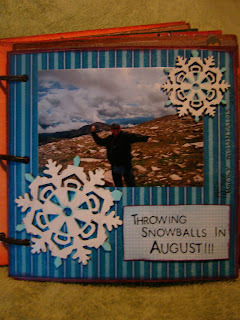 It was an amazing experience to throw snowballs after the previous 105 degree day. I added a larger Ezee Pzee snowflake to compliment the Itzee one. 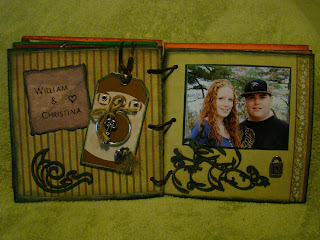 The next page is my husband and I. I used the paper from a clock class I took that was taught by one of my fellow Ezee Pzee Dezign Team members. 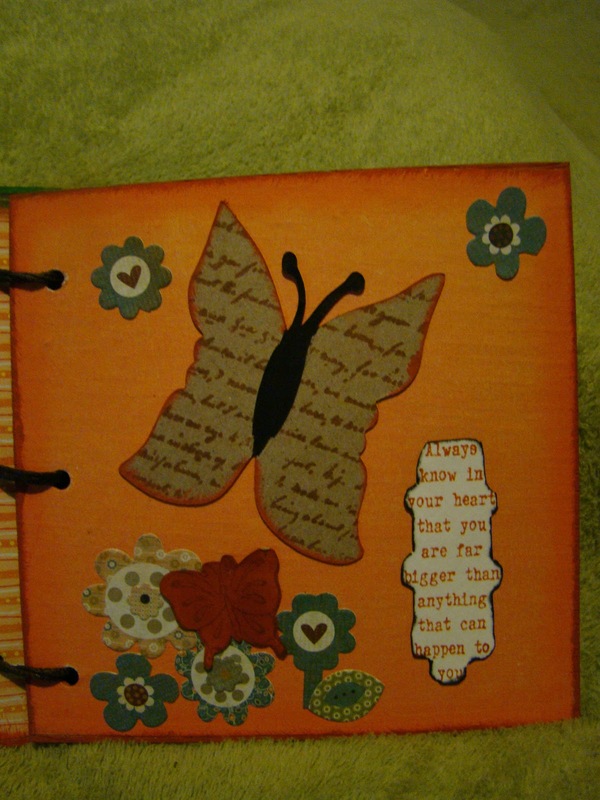 The Itzee Ezee Pzee flowers are the perfect embellishment for this beautiful paper. Then theres MY girl Faith! She is my little love! 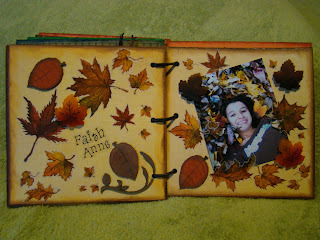 I used Ezee Pzee leaves to go with my daughters smile in the pile of leaves that we raked up at my mother in laws house. Love her sooo much! Then after looking at my creation I scooped it up and went down to Tim Horton's for an XL Earl Grey tea~Thanks Kathy, you are absolutely the Best!!! Beautiful!! You did a fantastic job! Oh Katie...it was worth the wait! It is beautiful! Thanks so much for sharing. Perfect! I love the colours you used...very nice! 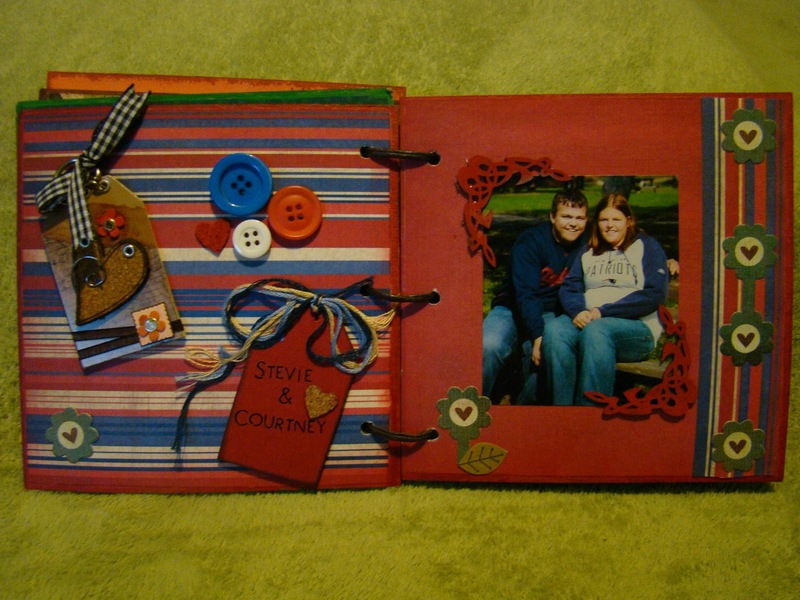 Your family album is beautiful! Very cute! You did a great job with this! 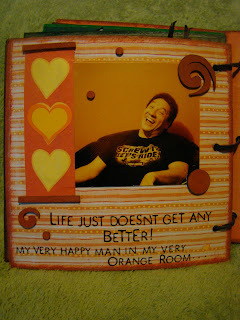 Thanks for sharing your album, love the cover!!! Loving it! 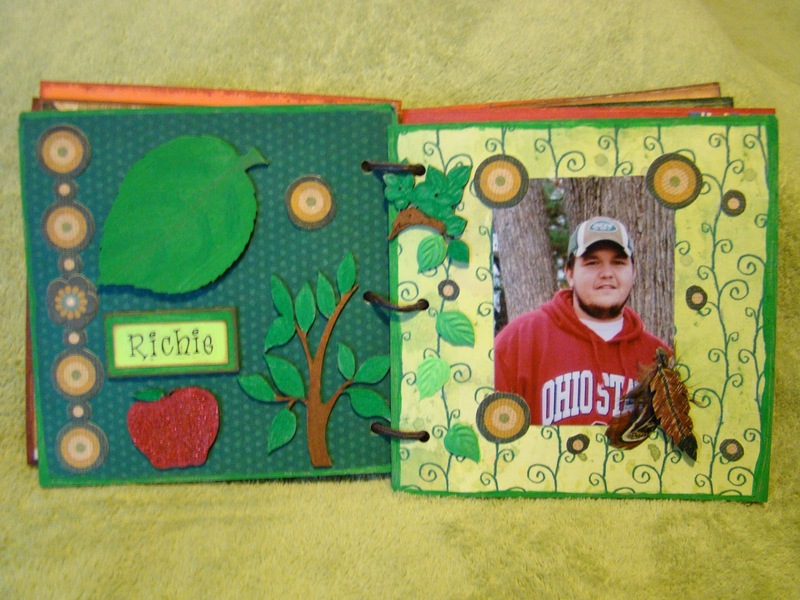 Most particularly the leaves page. The combination of leaf paper, Ezee Pzee leaves and the photo just makes the entire thing pop. oh Katie i love what you did!!! the cover.. we need to talk.. love it!!! Love everything about it, Katie - awesome job! Love your album!!! It turned out great! I absolutely love your cover! It's amazing! Looking through these beautiful projects makes me want to go and see what all they have to offer. You have done them proud with your presentations. I have a dog that likes to eat my stuff too, plus a cat that will lie on top of anything horizontal and another cat that will steal anything he can find! Gotta love the animals! Thank you for the inspiring project! I loved all the details. Great job! Love all the different textures and colours!! 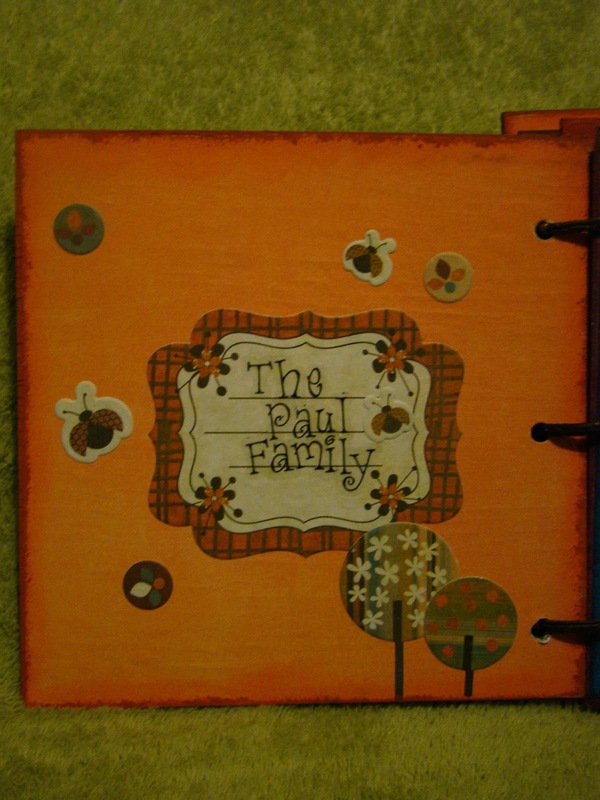 Love that you have a different page for each family member. Lovely treasure! 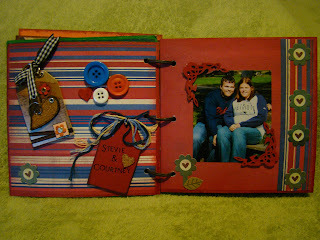 I enjoy Looking at all your Creative projects in person, but now I can keep up with them on here. Great work!! 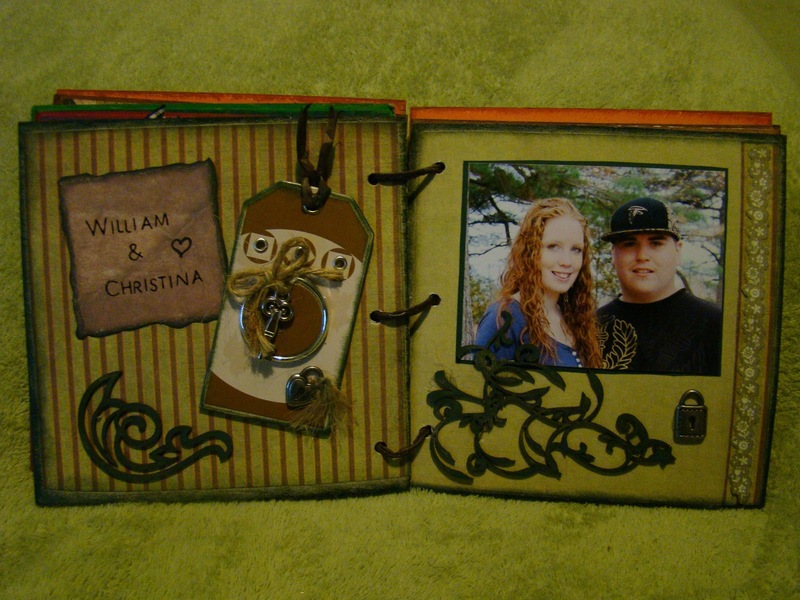 I may need some help & ideas when I start working on Baby Wills Scrapbook. It could use Grammys creative Touch! We love you!! You do an awsome job on all of your projects! They all turned out Awsome!! Love yah! The cover is so gorgeous, that must have taken you a long time. Great job. How beautiful Kate ,Iam sooooooooooooooooo proud of you. 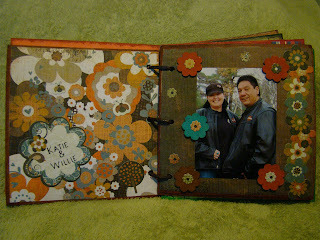 So pretty, great papers your chose to go along with the album Katie! Good job mom! You always do an awsome job on everything Love you! Love it all... 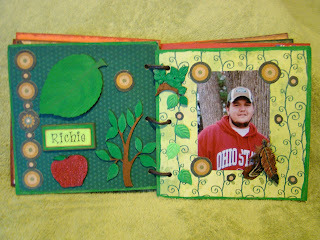 I really like your apple project, its one of my faves!!!! It's great to see how everyone went in such different directions with the same elements. Thanks for sharing with us!